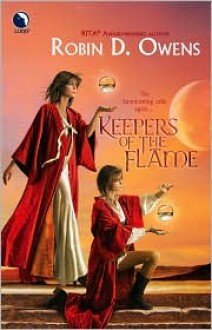 The sorcerers of Lladrana have already Summoned three women to help fight the evil attacking their world. Yet their fourth Summoning brings the unexpectedtwin sisters. And ones with strong ties to Earth.Both have a special gift to heal. But while Brigid Drystan has explored that gift through unorthodox means, Elizabeth has poured herself into getting a medical degree and denying her powers.Now, stuck in a strange land, fighting a plague sent by the Dark to weaken Lladrana, they must use all their resources to save lives. And one twin will risk her own on an experiment that might doom them both.